What is your MRI not telling you about your Lower Back Pain? 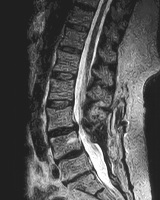 >> What is your MRI not telling you about your Lower Back Pain? People do MRI scans for all kind of different reasons and lower back pain a common one. Magnetic Resonance Imaging (MRI) is a great way to illustrate anatomical structure in the body. It works very well for the brain, arms, legs and the spine. 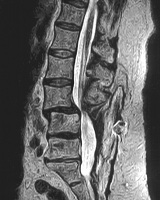 My interest is of course with the imaging of the spine and it is why we must understand what normal MRIs can’t show us. You probably have heard of friends that have back pain and the lumbar MRI shows hardly anything leaving both the doctor and your friend clueless. One big short coming that MRI has is that it done when a person is lying down taking the load of the spine that is normally there while we sit or stand. This normal load of gravity can have a huge impact on the spine, making the spine behave in a manner that can’t be shown in normal MRI machines. This kind of behavior in the spine would be called a functional problem and symptoms can be provoked during daily living and functional tests. But the MRI leaves us empty handed. Could standing MRI show different results? What if the same person could have done an MRI where they were standing during the procedure, could the images have looked different? I would believe that they could do that in many cases. And if you compare the two MRI images presented on this post you can see a huge difference. The first one is of the person lying down in a regular MRI scanner and the second one is taken when the person is standing upright. What a huge difference, right? I bet, the conversation would be completely different with the doctor explaining the MRI findings to the patient. Unfortunate there are no upright MRI scanners available in Singapore or in South East Asia for that matter. I am sure they will come here and we will then benefit from the valuable information that they can provide us with to better care for the clients with lower back pain.